EPC “Ingehim” (EPC “Inzhekhim”, as in some older unofficial documents and affiliations in scientific publications of our employees) has designed and manufactured a hydraulic test stand designed for testing strength and hermeticity of pressure vessels and pressure apparatuses. 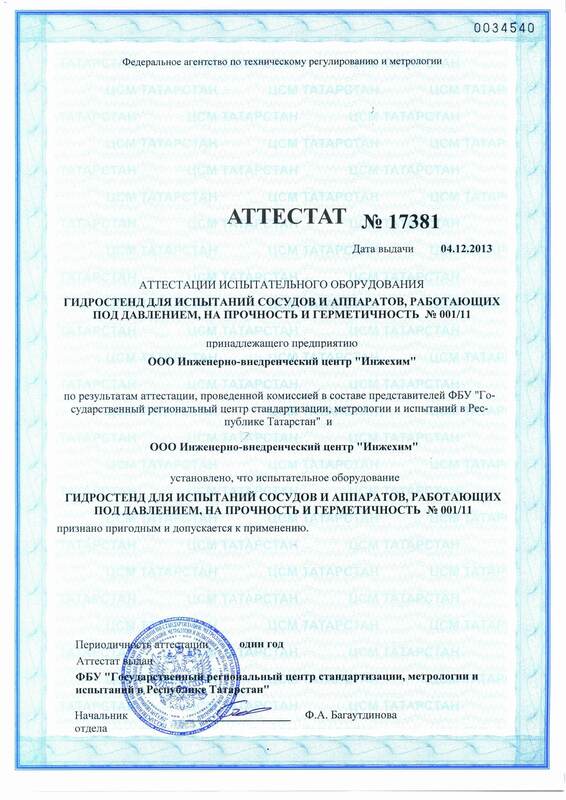 The stand successfully passed certification in the Russian Federation. EPC “Ingehim” offers service in designing, manufacturing and delivering similar hydraulic test stands to external organizations also. 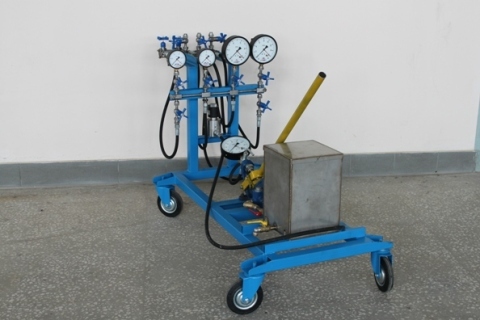 To order a hydraulic test stand, please, provide us with all requirement specifications for the desired hydraulic test stands through e-mail.